Well, as quickly as the floods came, they began to recede. And now with the sun shining, it’s almost business as usual. In fact, the flood recovery has been so good that for the last few days I was busy at work helping my father set a Hash. What this entails is a lot of walking in the bush, choosing random routes, deciding this route looks like crap, backtracking and trying again, until finally you decide on a trail which is interesting and challenging for the group. We were out there every day in the bush, sometimes for three to four hours. Little did I know how much work it really is to set a hash! Friday was the final day for setting the trail, so we set out armed with bags of shredded paper to mark the route. For those of you who don’t know how it works, the ‘Hares’ set the trail, and are the only two people who know where it goes. Everyone else has to follow the paper to find the right way. 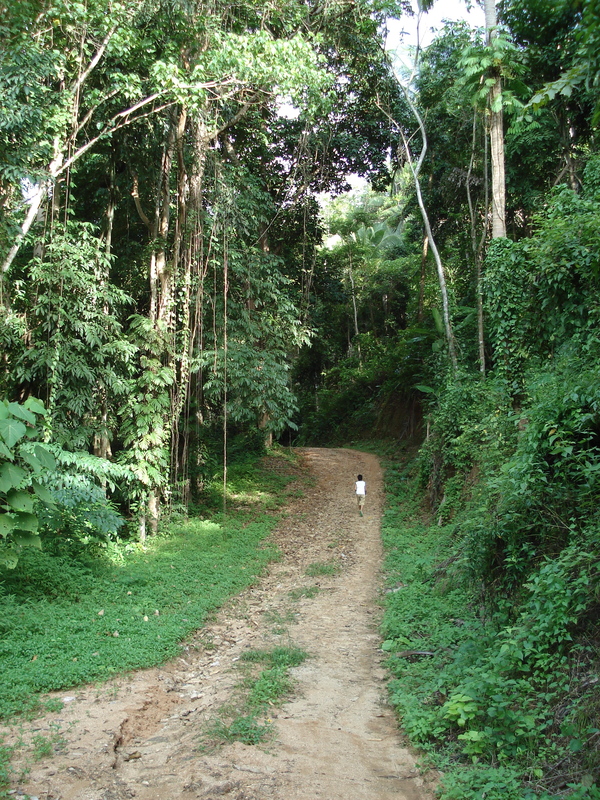 Since Samui is ‘Coconut Island’, coconuts play a big part in setting the trail here. When you come across two coconut palms set up in an ‘X’ with paper on top of it, that means the group should split up and explore the different possible routes. If you go down the path and find paper with a coconut sitting on top of it, that is a False Trail and you should Turn Around. Eventually everyone does find the right way, and returns to the Hash site for numerous beers and old talk. This was my first time trying to help set the trail, and it was made difficult by the rains which changed entire roads and washed away sections of rivers. We finally settled on sending them through this beautiful river, up the hills, across another river, and up by a quarry in the mountains. When everyone came back they said they enjoyed it, though they would have liked it to be a bit longer. You live and learn I suppose. Nonetheless, I think everyone enjoyed it, and I would definitely like to try to set it again in the future! For people visiting Koh Samui, here is the website for the Samui Hash. Come on out and try it! 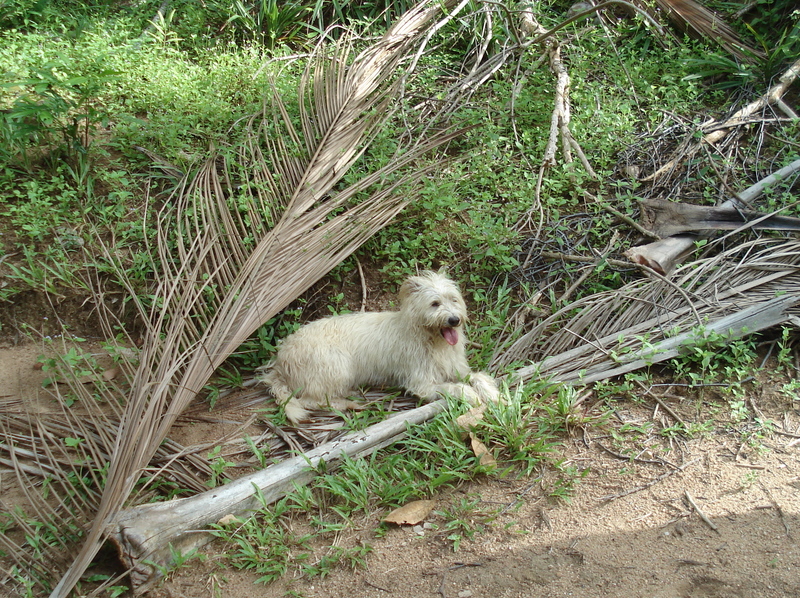 A dog on crossed coconut palms does not mean anything! Just keep going! Dogs.what to do with them.roxy ended up in ronalds’ room when the damn divali fire works got going, after the bursting of bamboo. Could not find the dog and eventually saw that she forced herself in through the window into his room.discovered this many hours later.